poorandglutenfree.blogspot.com – I love Poor and Gluten Free’s “8 Ways to Use Swiss Chard Stalks” post that includes a Tahini Dip and coconut breaded stems. foodfacts.mercola.com – An article at this site gives facts about the health benefits of Swiss chard and includes a recipe. Parmigiano Reggiano Baked Eggs with Swiss Chard Recipe – I want to try this recipe. It’s a breakfast recipe, and I LOVE breakfast. Swiss Chard with Garbanzo Beans and Fresh Tomatoes – I’ve been on a bean and veggie salad kick lately but hadn’t thought of adding Swiss chard until I saw this recipe. Looks good! 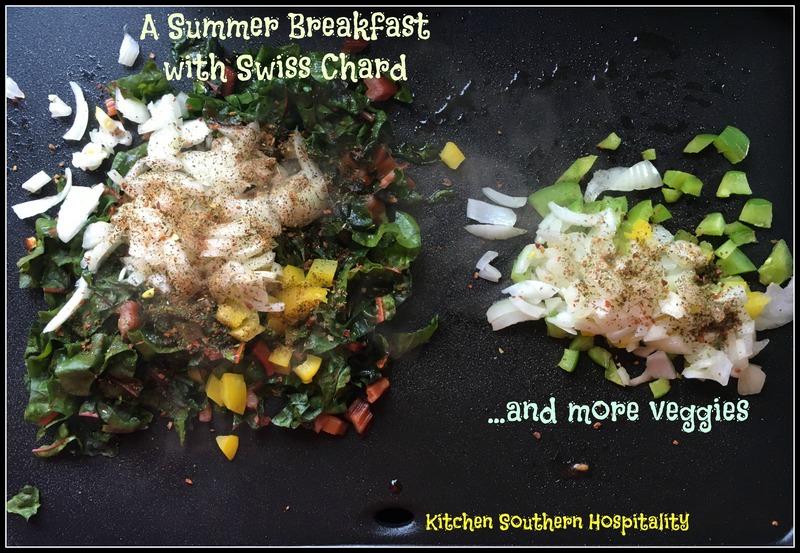 Now for my Swiss Chard & Eggs breakfast, it is a good nutritious way to start the day. I like the fact that when I cook the chard leaves on my griddle, they don’t sizzle down to a tiny bit like spinach does. Chop up the chard leaves and stalks. Add coconut oil to the griddle. When the oil begins to sizzle, add the veggies. If not everyone you're cooking for likes Swiss chard, cook the Swiss chard and some of the onion and peppers on one side of the griddle. Then cook the rest of peppers and onion on the other side. While veggies are cooking, sprinkle Mrs. Dash on each pile of veggies. Now add the eggs to the griddle, and fry them over easy, medium, over medium, or how ever you like them. Place the vegetables on a plate, making room in the middle. Add the egg on top of the bed of Swiss chard and veggies. Serve in a tortilla, with raisin toast, or eat just as it is. 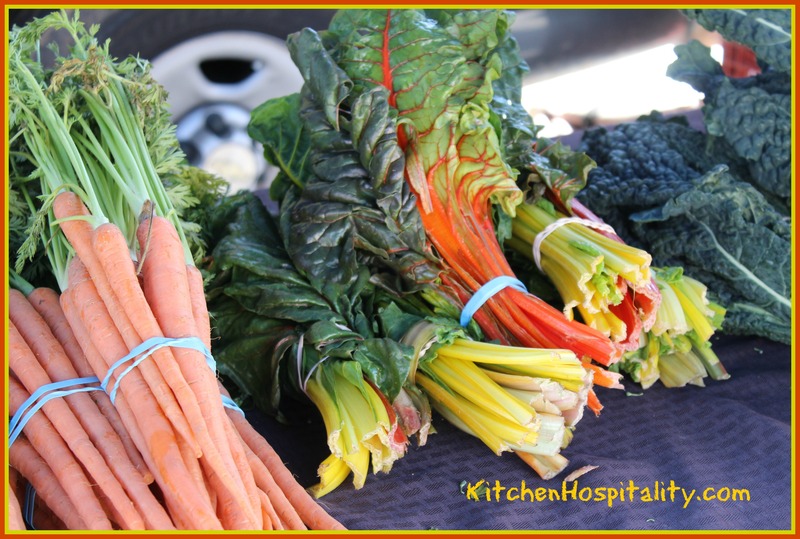 If you decide to try this recipe or another one with Swiss chard, tell me what you think. I’d love to hear from you. I love veggies and eggs. I usually make omelets, but this looks good, too. I wonder if you could poach the egg in the juice released by the vegetables. Yes, in fact, I was trying to poach the eggs in the juice from these veggies. It seemed to be working but slower than what I wanted. So I flipped the eggs over at least half a minute.